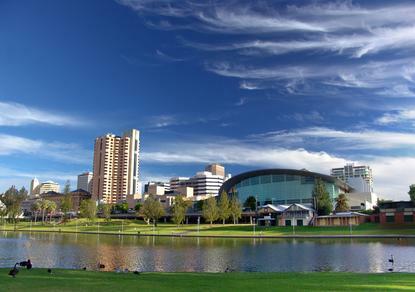 The South Australian Government has put the call out to the local tech industry to pitch in on its plans to refresh its existing arrangements for the provision of mainframe services. The state government’s Department of Premier and Cabinet released an expression of interest (EOI) on 18 September, asking respondents to provide an overview of their solutions and services. The move comes as its existing arrangement with Hewlett Packard Enterprise comes to an end. The state government extended its agreement for the provision of mainframe computing services with the vendor in 2012, when it was still known as Hewlett-Packard. The contract extension took the total term of the state’s mainframe computing services contract with HP to 11 years and five months, with an estimated value of $119 million over the course of the deal. The original eight-year contract between the state government and HP was due to expire in December 2014. Under the current mainframe computing services agreement, state agencies run business critical applications such as financial management, payroll, criminal justice and housing management systems. Agency applications running on the mainframe have been developed in, and modified for, the current mainframe, which has increased the dependency on mainframe technology and operating systems. As the incumbent supplier, HPE provides mainframe computing services from two state-owned and operated IBM z114 mainframes, which are dedicated to the state in a ‘private cloud’ arrangement. Of the two, the ‘production’ mainframe is located at the state-owned Glenside Hosting Facility, and the ‘disaster recovery’ mainframe is located at a leased space within the SunGard Data Centre in Kidman Park. “The current Supplier maintains currency with the various IBM software versions to ensure ongoing mainframe support. The state currently uses 715 MIPS, with 903 MIPS provisioned and has 4487GB DASD storage in use,” the SA Government’s tender documents stated. Now, with the release of the new expression of interest, the state is looking beyond HPE’s offering, and is hunting for a more detailed understanding of the supplier market and the range of solutions that may be available from other potential partners. While the move may not necessarily see HPE removed from the running, it does substantially open the playing field to other suppliers, with the EOI process expected to be just the first stage of what may be a multi-stage procurement process. Among other things, the SA Government is interested to know which of the potential respondents’ assets and staff is located in South Australia, interstate or overseas. The new mainframe arrangements approach as the state eases into its massive $394 million IT outsourcing deal with DXC Technology, which it struck in earlier this year, when the IT services firm was still known as CSC.